Grant Osborne is perhaps best known for his The Hermeneutical Spiral, a standard textbook for a generation of pastors and teachers. He serves as the series editor for the IVP New Testament Commentary and contributed the Romans commentary for that series (2004). This is the first volume of a series of New Testament commentaries written by Osborne and published by Lexham Press in both print and Logos Library editions. As of December 2017, six of the commentaries have been published. In the series preface, Osborne describes three goals for his commentaries. First, they may be used for devotional Scripture reading. Since the commentaries are based on the NIV translation a reader can use this commentary as a supplement to their daily Bible reading. Second, these commentaries may be used in Church Bible studies, perhaps in a small group or Sunday school context. Third, these commentaries will serve as aids for pastors and teachers as they prepare sermons on the text of the Bible. Osborne says he wants “to help pastors faithfully exposit the text in a sermon.” As he writes these commentaries, Osborne draws on his own experience as a pastor and interim pastor. He goal is academic respectable but intended for the layperson. Osborne attempts to balance a deep reading of the text with a practical application for the Bible student. In the seventeen-page introduction Osborne argues for a more or less tradition view of the date and origin of the book of Romans. Paul wrote the book about A.D. 57 from Corinth just before he returned to Jerusalem to deliver the collection. The Roman church was founded by Jews returning home after Pentecost, but most of these leaders were expelled in A.D. 49 by Claudius. When they returned in A.D. 54, they found the churches were now predominantly Gentile. Osborne sees the issues in Romans 14:1-15:13 as real tensions between Jewish and Gentile believers in the Roman churches. The main purpose of Romans is preparation for a new phase of Paul’s ministry in the western half of the Empire. A second reason for writing the letter was to gain prayer support for the delivery of the collection (15:31). But the third reason Osborne offers for the writing of Romans may be more dominant: Paul wants to bring unity to a church in conflict. Osborne includes a short theology of Romans, briefly discussing what the letter says about God, Christ, and the Holy Spirit. The election of the believer and the Christian walk. With respect to the election of the believer, Osborne refers to Romans 9-11, but refers readers to his exposition of 8:28 and the end of Romans 10 to allow “readers to decide for themselves” (17). In the commentary on Romans 8:28 he briefly compares Calvin and Arminius on the definition of foreknowledge and predestination, concluding that he find the Arminian view “more faithful to all the biblical data.” In his comments on Romans 10 Osborne does not engage with Calvinist or Arminian theology, preferring to let Scripture speak for itself. He says “salvation is available for ‘anyone’ who is willing to believe” (318). The body of the commentary covers paragraphs of Romans in each chapter. For example, Romans 6:1-14 is a sixteen pages chapter. 6:15-23 is a ten-page chapter. The commentary chapter is then divided into units covering each verse in the section. Occasionally Osborne will refer to a Greek word, but these only appear in transliteration and do not distract readers who have not studied Greek. Occasionally he corrects the NIV (for example, pages 113 and 361, gar is not translated in the NIV). Footnotes are rare in the commentary, occasionally pointing to another scholar for additional information or to a series of cross-references. The commentary concludes with a glossary of key terms (indicated by bold in the text), a short bibliography, Subject/Author index and a Scripture index. Osborne excels in summarizing important theological points which arise in the text and gently suggesting his own view. For example, a classic problem for interpreters of Romans is the phrase “in whom all sinned” in Romans 5:12. He offers five options, three of which are viable options. He suggests mediate imputation (the Arminian view) is the best understanding of Paul’s phrase. With respect to the “I” in Romans 7, Osborne offers four options before suggesting it is best to see “Paul as using himself as an example of all humanity” (200). Commenting on Israel’s national future in 11:25-36, Osborne he makes three clear points which offer the reader an overview of this controversial topic. One major difference between this commentary and his 2004 IVP commentary is the complete lack of reference to the work of other scholars. There are several places in this commentary which are identical to Osborne’s 2004 commentary (the first paragraph of the introduction to each book for example). His comments on Romans 16:18 are virtually identical as well. Often the general text is the same, but in-text citations have been removed. For example, commenting on Romans 11:25, page 205 of the 2004 IVP Commentary has “The in part could modify Israel (so Barrett 1957; Käsemann 1980; Morris 1988), page 362 of this 2017 commentary has “The ‘in part’ could modify ‘Israel’” with no reference to Barrett, Käsemann or Morris. The Lexham commentary does not indicate it is a revision of the IVP commentary, but in many case it is a lightly edited version of the 2004 commentary. This may not detract from the value of the commentary, since Osborne has in fact re-written most of the commentary to fit the style of the new series. Osborne’s Romans commentary is available in print or in the Logos library. The Logos version of the book utilizes all of the features of the Logos Bible Software and is available on every version of the software. Users can float over cross-references to read the text; footnotes function similarly. Clicking a reference will take you to that Scripture in your preferred translation. The electronic version is tagged with real page numbers so the commentary can be cited in the same way as the real book. Conclusion. Osborne has succeeded (again) in his goal of providing a scholarly yet readable commentary on the important book of Romans. The commentary is irenic, never passionately arguing for an Arminian position or violently rejecting the Calvinist view. As for all the volumes in this series, Osborne targets a general readership rather than a scholarly audience. As he says in his preface, the commentaries in the series should be used for devotional Scripture reading. Since the commentaries are based on the NIV translation a reader can use this commentary as a supplement to their daily Bible reading. A second related goal is for these commentaries to be used in Church Bible studies, perhaps in a small group or Sunday school context. But pastors and teachers will be find the commentaries useful as they prepare sermons on the text of the Bible. Osborne says he wants “to help pastors faithfully exposit the text in a sermon.” Osborne attempts to balance a deep reading of the text with a practical application for the Bible student. In the seventeen-page introduction Osborne argues for an early date for the book of Galatians, before the Jerusalem conference in Acts 15 (the “southern Galatia hypothesis). Galatians is therefore Paul’s earlier letter, dated to about A.D. 48. The opponents in Galatia are Jewish Christians demanding Gentile converts follow the Mosaic Law, starting with circumcision. He associates these Judaizers with the Pharisees mentioned in Acts 15. Osborne does not see a so-called second front in Galatians, the Libertines (Gal 5:13-6:10). Paul warns against a possible misuse of his teaching rather than any real practice among the Galatian churches. Osborne briefly addresses the New Perspective on Paul, specifically the view that the “works of the Law” refer only to boundary markers (circumcision, Sabbath and food taboos). Osborne agrees with Sanders that Judaism was not a totally legalistic region devoid of grace, but he thinks Galatians is evidence for some legalistic aspects in first-century Judaism. The introduction offers a detailed outline as well as a three-page summary of the theology of Galatians. For Paul, the death and resurrection of Jesus inaugurated the new covenant. Jesus fulfilled the purpose of the old covenant “rendering them obsolete as a means of salvation” (17). Galatians therefore emphasized justification by faith and freedom in Christ. The Christian life is a life obedience led by the Holy Spirit. The body of the commentary consists of a series of short chapters with subsections working through each verse of the unit. Osborne makes occasional only use of the Greek text, and all Greek appears in transliteration. His focus is in the NIV translation so readers without specialized training will be able to read this commentary with understanding. Footnotes are minimal and there is almost no interaction with contemporary scholarship. Although this might frustrate academics, Osborne’s writing friendly style makes the commentary useful for a small group Bible study. As with all the volumes in this series, Osborne’s Galatians commentary is available in print or in the Logos library. The electronic utilizes all of the features of the Logos Library and is available on the desktop and iOS versions of the software. For example, users can float over cross-references to read the text; footnotes function similarly. Clicking a reference will take you to that Scripture in your preferred translation; clicking references to other commentaries will open them if they are unlocked in your library. The electronic version is tagged with real page numbers so the commentary can be cited in the same way as the real book. Conclusion. Osborne certainly achieves his goal to write a readable commentary of use in a Bible study as well as a helpful aid for pastors preparing sermons. As such, there is no need for Osborne to interact with the massive literature generated by the book of Galatians. He includes sixteen commentaries in his bibliography, including technical, exegetical works such as Martyn and Longenecker, but also several expositional and devotional commentaries. The short chapters could be used as the basis for a Bible Study, although this purpose could have been enhanced by adding a series of discussion questions for each chapter. This new contribution to the NICOT series is a companion to Mark Boda’s Zechariah commentary (Eerdmans, 2016), completing the post-exilic prophets and updating the older Haggai and Malachi commentary by Pieter A. Verhoef (1987). In April 2018 Verhoef’s commentary will appear as one of the first three volumes of Eerdmans’ new Classic Biblical Commentary series. Jacobs often refers to this still useful commentary in her own work. Jacobs is Professor of Old Testament Studies at Ashland Theological Seminary where she is also serves as Dean and Chief Academic Officer. She wrote Gender, Power, and Persuasion (Baker Academic, 2007) and Conceptual Coherence of the Book of Micah (Sheffield Academic, 2001). In addition to numerous journal articles on the prophets, Jacobs has chaired the Society of Biblical Literature Israelite prophetic literature section. Jacobs says she has two main methodological concerns in her commentary. First, she primarily wants to read Haggai and Malachi as prophetic literature. Although this seems obvious, it requires her to place each prophet in their appropriate historical context. These two prophets address specific situations in the post-exilic community. Several pages of each introduction are devoted to the historical, socio-political and conceptual frameworks of the books. For Haggai, the theological problem of rebuilding the temple explain the economic hardships of the post-exilic community. Malachi addresses the problem of apathetic priests after the Temple was rebuilt and possible problems arising from shifts in the administration of the Persian Empire. Second, Jacobs indicates she is interested in the “diverse intertextual voices within the Hebrew Bible.” In order to achieve this goal, she includes a section entitled “intertextual indicators” in each of the two introductions to the books. For Haggai, Ezra and Chronicles provide a historical framework and there are some allusions to the Law. For Malachi, Jacobs points out Malachi’s dependence on the Pentateuch for his comments on priests, Levites, the tithe, marriage and divorce. I expected to see some intertextual comments on the marriage metaphor in her comments Malachi 2, but there is little there to suggest Malachi has Hosea or Isaiah in mind when he discusses the apathy of the returned exiles. For Malachi, Jacobs provides a table of eleven intertextual links to the New Testament. With respect to the theological contribution of these two books, Jacob’s comments are limited to a few pages in each introduction entitle “Message.” These minimal comments reflect Jacobs’s reluctance to apply the text of the two prophets to contemporary issues. It is tempting, for example, to use Malachi to speak to the issue of divorce or giving to the church (the tithe, etc.) But Jacobs does now consider this kind of theologizing the task of a commentary since it requires moving from the context of the prophet to some other context. As she says, “recontextualizing the ideas and themes most often requires reconceptualizing,” and for Jacobs, reconceptualizing is not the task of a commentary (xiii). She is true to this intention, there is little in the Haggai commentary which could be seen as theological interpretation, application, or “bridging the gap” with the modern church and there is certainly no “Haggai Speaks to Us Today” sections in this commentary. Although Haggai has the least to say about social ethics among the prophets, there are sections of the commentary which invite reflection and application (the apathy of the priests in Malachi 1:11-13, for example). Jacobs leads the reader with detailed exegesis to the place where they can make their own pointed application to contemporary circumstances. But she is not going to reconceptualize the prophets herself. The commentary for each book begins with an annotated translation of the text. The translation notes deal with lexical and syntactical issues as well as textual variants. This detailed material is necessary for a critical, exegetical commentary, although it may be skipped if the reader is not interested in the textual history of the book. Following the translation and textual commentary, Jacobs moves through each pericope verse-by-verse commenting on words and phrases. All Hebrew appears in transliteration and most interaction with secondary literature appears in the footnotes. This makes the main commentary very readable. Given the goals of the commentary, it is not surprising to find frequent comments placing the prophet into the larger canonical context. For example, commenting on Haggai 1:5-6, Jacobs draws attention to Deuteronomy 11:10-15 to explain why the returning exiles are having poor harvests. Commenting on Haggai 2:6-9 she draws on earthquake language throughout the prophets. This might be considered intertextuality, but there is little in Haggai which implies he was intentionally alluding to an earlier text like Jeremiah and Jacobs does not argue he was intentionally alluding to anything. At best, the earthquake language is part of prophetic speech about the day of the Lord. This is not what is usually meant by intertextuality. Conclusion. Jacobs has contributed a serious exegetical commentary on two of the neglected books of the Hebrew Bible. It is a worthy successor to Verhoef’s commentary in the NICOT series and will be a standard commentary on Haggai and Malachi for many years to come. Some readers might find fault with the lack of theological reflection, especially since that style of commentary has become increasingly popular in recent years. Jacobs is true to her method and written a fine exegetical commentary which will provide the details for the kind of theological reflection on socio-political situation of the post-exilic community which allows pastors and teachers to address modern issues in specific cultural contexts. Why did the Wise Men bring Gifts to Jesus? These are often described as kingly gifts, and they are, but they are not all that rare. “Frankincense and myrrh were fragrant spices and perfumes equally appropriate for such adoration and worship” (Blomberg, Matthew, 65). 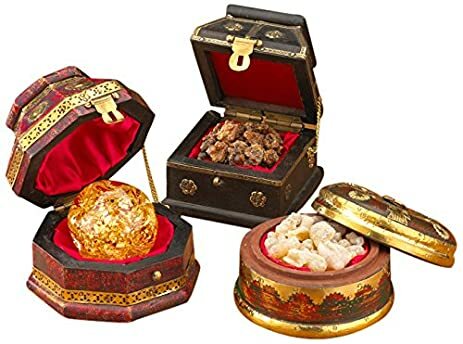 Often frankincense and myrrh are associated with burial (myrrh was used in embalming until the fifteenth century), but they are also associated with the anointing of a king. They would be gifts typically given at the birth of the son of a great king. A better way of looking at the gifts is to see them in the light of two Old Testament texts which anticipate the coming messiah. Both Isaiah 60 and Psalm 72 look forward to the restoration of a king like David. When this New David begins to rule, the nations will gather to honor the king with worship him. They will groveling the dust (Ps 72:9) and give the new king gifts. Isaiah 60:4–7 (ESV) Lift up your eyes all around, and see; they all gather together, they come to you; your sons shall come from afar, and your daughters shall be carried on the hip. 5 Then you shall see and be radiant; your heart shall thrill and exult, because the abundance of the sea shall be turned to you, the wealth of the nations shall come to you. 6 A multitude of camels shall cover you, the young camels of Midian and Ephah; all those from Sheba shall come. They shall bring gold and frankincense, and shall bring good news, the praises of the Lord. 7 All the flocks of Kedar shall be gathered to you; the rams of Nebaioth shall minister to you; they shall come up with acceptance on my altar, and I will beautify my beautiful house. Psalm 72:8–11 (ESV)8 May he have dominion from sea to sea, and from the River to the ends of the earth! 9 May desert tribes bow down before him, and his enemies lick the dust! 10 May the kings of Tarshish and of the coastlands render him tribute; may the kings of Sheba and Seba bring gifts! 11 May all kings fall down before him, all nations serve him! The gifts of the Magi therefore indicate Jesus is the King of Israel, the true son of David. 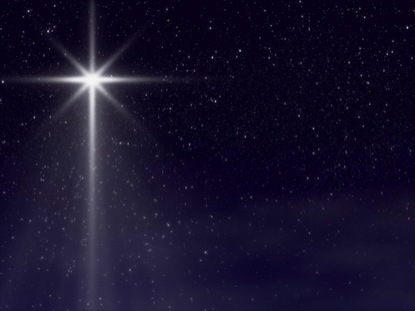 What was the Star in Matthew 2? The answer to this question has to be “a miracle” since there are a great many variables to say with any sort of certainty that it was any particular stellar event. It appeared in the east: if Persia is meant then it is perhaps a two year journey to find Bethlehem. It is possible that this simply means, as astrologers, they read the signs and determined that the birth of the messiah was near. “We read his horoscope” sounds far less Christmas-y, but that may be in fact what Matthew meant. Other things besides stars could be considered as omens and portents. Comets and meteors were always considered signs, it is possible that one of these appears at the right time and made the Magi think that Messiah had been born. In addition, the star guides the Magi to the house, this is unlikely to be a comet, meteor, conjunction, etc. Numbers 24:17 (ESV) I see him, but not now; I behold him, but not near: a star shall come out of Jacob, and a scepter shall rise out of Israel; it shall crush the forehead of Moab and break down all the sons of Sheth. While it is difficult to state for certain that this “star” in Numbers was the star in Matthew 2, the connection of a celestial sign with the birth of a great king is a well-known feature of Ancient culture. If Jesus was the Messiah, his birth would have been accompanied with signs and great men (like the magi) would observe and understand the importance of the birth. The story of the Magi is filled with images of the “three kings” riding camels in robes and crowns, carrying chests of gold, etc. Typically this event is celebrated on Epiphany, on January 6 the last of the 12 days of Christmas. Of all of the events surrounding the birth of Jesus, this one is often thought (at best) to be an invention of Matthew to show parallels between Jesus and Moses, or the “stuff of legends” at the worst. The carol “We Three Kings” was written by an Episcopal deacon named John Henry Hopkins, Jr., in 1857 it was not published until 1863. It was originally intended for a Christmas Pageant at General Theological Seminary in New York City. This song is likely the reason every Christmas scene has three kings dressed like Persian royalty (usually one black and one Asian). More perplexing is “I Saw Three Ships,” a song which dates to the 17th century. There is no way for three ships to come sailing into Bethlehem, so it is usually explained that the Wise Men on Camels are the ships. It is possible, however, that the ships refer to three ships bring the relics of the Magi to Cologne Cathedral in the 12th century. According to church tradition dating back to the fourth century the names of the three magi were Caspar, Melchior and Balthasar, although this varies in eastern forms of Christianity (Casper becomes Gaspar or Jasper, master of horses, for example). The arrival of the Wise Men is celebrated by some Christians on January 5 or 6, in association with Epiphany, the day Jesus was revealed. For example, until recently, in Spain children receive their gifts from “Reyes Magos” rather than Santa Claus. In Puerto Rico and the Dominican Republic children put it a box of greenery (representing grass) under their bed on January 5 for the camels of the wise men. 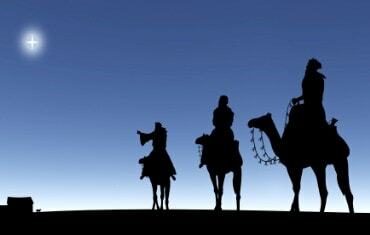 Who were the three Wise Men in Matthew 2? They were not kings, although the song “we three kings” has kept that interpretation alive. The idea that they were kings comes from the fact that they bring gifts (i.e., tribute) to Jesus. Craig Blomberg, for example, says “The gifts used to honor the new king were typically associated with royalty” (Matthew, 65). Magicians and astrologers often were important advisors to kings. If they were not political advisors, they were certainly the educated, scientific class of the ancient world. A Magus was an astrologer, although not in the modern sense of the word. They did in fact tell fortunes by the stars, but there were more or less the astronomers of the ancient world. The same word is applied to advisors of king Nebuchadnezzar, in the KJV this is also translated as wise men, although they are court magicians or astrologers. As odd as it seems, having an astrologer in the court who would read the signs and omens in the heavens was common in the Ancient world. Where are the Wise Men From? We are simply told “from the east,” likely following the spice route from as far away as Persia. The word Magus has a Persian origin, although they may have been from only as far away as Nabatea on the east of the Jordan. It is likely “from the east” refers to Babylon, and that the magi themselves were Jewish astrologers who had determined that the time for the birth of the messiah was at hand. There was a lively Jewish community in Babylon from the time of the exile, and it is not unlikely that Jewish men were still functioning in local governments. A potential problem with this identification is that they do not know where the Messiah was to be born, something which Herod’s own wise men knew. It would seem odd that educated Jewish men would not know this somewhat obvious prophecy. In fifty-six page the introduction to the commentary, Dempster covers the usual material expected in an Old Testament commentary. He uses Micah’s name (“Who is like Yahweh?) as an entry point into the book. The book is about the incomparable Yahweh who will remove sin because of his great loving kindness (חֶסֶד). But Dempster suggests the name is not a question but a “cry of desperation” of lament because here are so few in Judah who are “like Yahweh” (3-4). Its leaders are corrupt and do not practice justice or loving kindness. Judah has already become a failed state like modern Somalia, prompting Micah’s lament. Dempster’s goal in the commentary is to understand the original historical context of the oracles before examining their literary context (17). For this reason the introduction has a solid section placing Micah into the history of Judah in the late eighth century, especially in Assyrian invasion of 701 B.C. Dempster realizes the view that Micah is largely responsible for the original oracles is a minority view in contemporary scholarship (30), but he argues this allows him to view the book as a unified whole rather than a collection a oracles from various, unknown prophets who are dislodged from a real historical context. This recognizes the individual speeches of the book of Micah were given in a specific historical context, but also that they were placed into a literary context at some point after the events. For example, Micah 1:6 refers to the fall of Samaria as a future event from Micah’s perspective. For the original audience, Samaria still existed, but for the primary audience of the book, Samaria had already fallen. Dempster argues an act of communication requires a recipient of the message. For Micah, the original audience is not always clear. Perhaps Micah 2:1-5 was written before Sennacherib’s invasion of 701 B.C., but it is difficult to know this with certainty (37). Because of this, it is not necessary for Dempster to know the exact historical context to do theological interpretation. As he says, “to know the historical situation behind Micah 2:1-5 coming away with a revulsion of the evil described is to lose one’s exegetical and theological soul” (38). But there is a wider context yet. Eventually Micah was placed in the collection of the Book of the Twelve (the Minor Prophets). Dempster things Micah’s placement at the center of the collection is intentional. Micah 3:9-12 is the first announcement of the destruction of Jerusalem, the exact midpoint of the Book of the Twelve (21, 51-56). For Dempster, the final editors of the Twelve were making a statement about the death of Jerusalem, but also its future resurrection of Jerusalem as the mountain of the Lord (Micah 4:1-5). It is certain the Book of the Twelve reached its final form in the post-exilic period (52), a time when hopes for restoration ran high. The body of the commentary (pp. 57-192) proceeds through major sections of the book. For each unit, Dempster comments on the structure and literary features before moving on to “key words and expressions.” This section is the exegetical commentary proper, commenting on virtually every phrase of the Hebrew text of Micah. Hebrew appears in the exegetical sections of the commentary but it is always transliterated so those without Hebrew training will still be able to use the commentary. Following the exegetical comments, Dempster makes two sets of theological comments, “Micah’s Word Then” and “Micah’s Word Now.” In the first set of comments, Dempster tries to tease out how the oracle relates to the original audience who heard Micah’s oracle as well as the primary audience who read the words of Micah prior to the fall of Jerusalem in 586 B.C. For example, commenting on Micah 2:1-11 Dempster argues the lower members of an agrarian society such as ancient Judah did indeed endure the injustice of foreclosure and confiscation of land. The ones committing this injustice thought they were safe from the Lord’s judgment because the prophets spoke well of them. But Micah says they will be stripped and driven from their homes, foreshadowing the fall of Jerusalem. Dempster then turns to “Micah’s Word Now” in order to bridge the gap from the late eighth century B. C. to modern western world. Here Dempster makes his own prophetic speech condemning wealth and consumerism in the west. “The attitude of the Christian church,” Dempster says, should be “to speak the truth in love, presenting Christ as the answer to such covetousness, criticizing injustice and rebuking evil…” (98-99). The theological conclusion to the book (pp. 194-237) follows the same pattern as the interpretation sections in the commentary. Dempster briefly summarizes a series of theological themes in the book of Micah, including Micah’s vision of God, God and the nations, Justice, Land, Temple, Messiah, Worship and several others. These brief reflections connect the content of Micah to the larger interests of the Hebrew Bible. The second section draws implications from Micah to the “present day issues.” Some of these topics are expected (Justice; Idolatry, Covetousness and Injustice) but others are surprising (“Modern Ministry and the Role of the Spiritual Leader” and ‘Cheap Grace”). In the commentary Dempster pointed out Micah’s struggle against the “cheap grace” of his day, the belief of those who controlled Jerusalem and the Temple that they were somehow exempt from responding to the voice of the prophet and doing justice towards the poor. He draws the uncomfortable analogy to the modern church and its “barcode Christianity” that demands loyalty to a doctrinal statement without any attempt at loving mercy, doing justice, or walking humbly with God (250). Conclusion. Although Dempster currently teaches at Crandall University in New Brunswick, Canada, he wrote the majority of this commentary in Cameroon. As he says in the introduction, spending time with Micah in Cameroon was “a tonic for my soul but a goad to my conscience” (vii). Anyone who takes the time to carefully read the eighth century Hebrew Prophets will be struck by the obvious parallels between the abuse of the poor in Micah’s day and modern injustice in the affluent west. While Dempster is faithful to the text of the Hebrew Bible, he offers a challenge to readers of Micah who ignore the plight of the poor while perusing wealth and prestige.